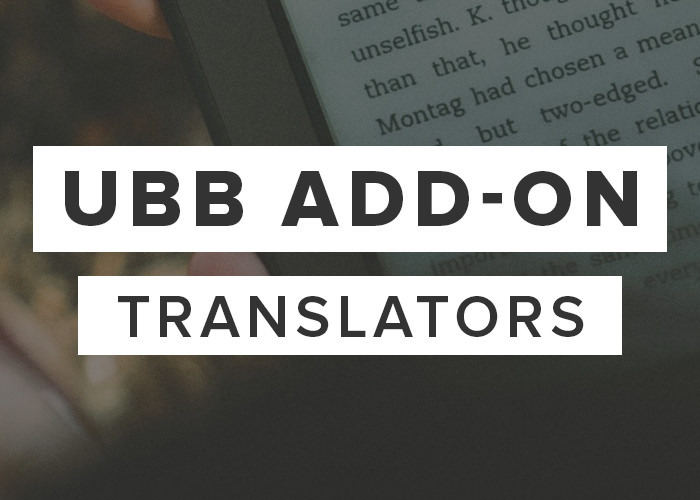 The UBB Translators add-on creates a new section you can add to your book information. A new box for “Translator” will appear in your sortable “Configuration” list in Ultimate BB » Book Information. 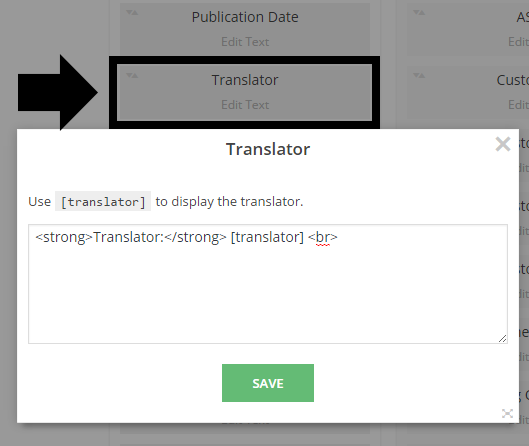 You can position the translator wherever you want and edit the text/HTML associated with it. Then, when creating a new post, you can “tag” it with the name of the translator. It’s just like adding the author! Fix: Translator text box not always being saved for book #0. Fix: Translator name not displaying correctly in review archives.